At TruDesign, our interior designers are passionate about beautiful, practical designs with a touch of elegance that incorporate who you are, what you love, and how you live. We work with you as a team, blending our individual experience, talents, and expertise to help you achieve your dream space. Whether it be your home, office, or commercial space, TruDesign’s work is tailored to suit your individual needs. Our portfolio showcases a wide range of projects in the Boulder and Denver area with varying styles according to owner preference. Each project is handled with careful consideration and enthusiasm by our dedicated team, ensuring your vision for your design is always achieved. I am a full service home decorator. I love working with clients who wish to experience their home on a more artistic level. I integrate the client's vision with my trained eye and together we create the perfect living space. Home decorating has the power to stimulate emotions and elevate energy. This is my goal for each client. I look forward to the opportunity to serve you and your space. Redesign. Reuse. Renew. 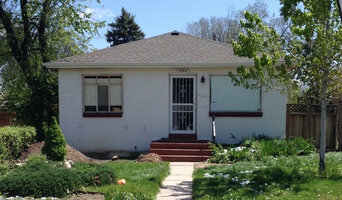 Offering room redesigns, handmade decor, styling and organization in and around Broomfield, CO. Creating a not-perfect, but perfect-for-you home. We can: -Make your house a home that uses everything you already have and love. 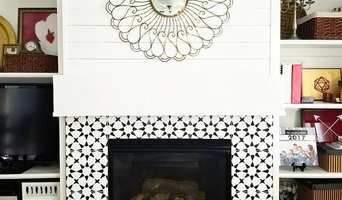 -Find and create décor to pull it all together. -Create organization that is sustainable. Could we help? -Love all your stuff but not sure how to make it work in your new home? -Unsatisfied with a room in your house and wished it looked or functioned better -Don’t know how to deal with that problem area? -Want all your sentimental things out of storage and on display to enjoy? Contact us and see if we can help! We truly believe your home can meet your needs and make you smile without spending a fortune. Find joy in your home by appreciating the things you already have and love. Create a place to find peace because things have a place and work for you. No pressure to upgrade to the newest styles. It just has to be perfect for your real life. Marla Schulte is a creative problem solver who loves to make things beautiful and functional. After designing seven of her own homes, she is ready to help others. She sews, paints, organizes, shops, arranges, rearranges, re-functions, styles and decorates. We strive to provide our clients a quality process and product by delivering high end results with an emphasis on construction, quality, and integrity. Interior design & soft good fabrication are our areas of expertise. Whether you are a designer or a visionary homeowner, we can offer you a sense of clarity throughout the design and fabrication process until your vision becomes a reality. C. Winn Designs came to Colorado in 2007. Chrissie Winn Manuel started C. Winn designs as an alterations, prototyping and custom clothing service. Her expertise includes custom soft goods product development, pattern making & grading, interior furnishings, window coverings, pillows, table and chair skirting, ottomans & a number of other soft good services. Aspen Designer’s Choice has been sub contracting to C. Winn Designs since 2007. Chrissie has recently purchased Aspen Designer’s Choice and is now a one-stop-shop for any soft good project you desire. Voted TOP of the Town by Denver's 5280 Magazine and BEST OF HOUZZ WINNER since its inception, it is with vision, creative insight, and finely tuned experience, that Andrea Schumacher Interiors creates sumptuous and imaginative interiors for clients that reflect their aspirations, lifestyles and personalities. Applying their extraordinary ability to bring a mélange of disparate elements together to create visual harmony, Schumacher and her team combine antiques and unusual pieces together with more contemporary items to create a look that is dramatic and unique. The design concepts are seamlessly executed with incredible attention to detail by their talented and professional team. As a full service interior design firm, Andrea Schumacher Interiors creates aesthetically exciting interiors, working closely with architects and builders throughout every aspect of a project’s interior design. From space planning, budget definition and design concepts to construction documents and final installation, Andrea believes that space, form and architecture are ultimately back drops to create greatness with color, texture and materials. 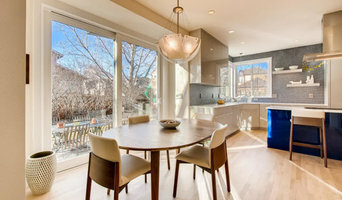 Boulder's Professional Interior Designer Best of Houzz 2019! Fort Collins Area's Interior Designer | 4x Best of Houzz Winner! 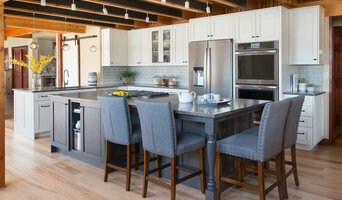 restyle design is a full service interior design company located in Fort Collins, Colorado, offering creative and stylish suggestions for unique and visually appealing spaces that fit your lifestyle and budget. Services are offered on an hourly basis for smaller projects, in addition to complete room planning for clients that would like to create a whole new look in their home. restyle design offers consulting services for construction projects, whether it is a renovation to an existing home, or a new home that you are building. No matter what your project goals are, restyle design will provide you with a solution that will add style and flair to all of the spaces in your home. Feel free to reach out to us, we would love to hear from you! TVL stands for ‘This Visionary Life’, which is embodied by the company in every sense. It’s what we bring to the table and what we strive for in every single project: vision, unmatched creativity, and an unbridled sense of passion for our work. TVL Creative is a multi-disciplined design firm located in Denver, Colorado that offers impactful interior design and remodeling services for residential and commercial spaces. We are young, contemporary, and exceptionally driven. TVL Creative is fueled by a highly advanced connection to the digital world and the most innovative approaches to design out there. We love what we do. We believe that good design completely changes lives. We aim to change the world of design by creating fascinating results that are available to everyone and accessible by many. TVL Creative was founded by Crystal Russell, a Denver native with a lengthy design background and boundless passion for everything creative. Crystal brings her varied skills to the table to manage TVL Creative as a multi-disciplined company; tapping into her experience with interior design, graphic design, media design, and fine art to create design solutions that are provocative and unique. After being disenchanted with the overly formal and relatively unwelcoming air of other design providers, Crystal established TVL Creative as a company rooted in openness, genuine friendliness, and raw design enthusiasm. We can’t wait to meet you! Margarita Bravo is an interior designer, decorator, remodeler, and furniture curator based in Denver, Colorado—winner of 2019 Houzz awards for Design and Service. Margarita founded MARGARITA BRAVO after a bold career change (industrial engineering) with the intention of pursuing a lifelong dream. As an Industrial Engineer turned interior designer (out of pure and undiluted passion), Margarita opened her interior design boutique with one goal in mind, to have fun! MARGARITA BRAVO combines practicality with ingenuity to reflect the customers' eclectic personalities and ideas onto lovable living spaces. At its core, MARGARITA BRAVO is client-oriented - always thriving to go the extra mile to exceed expectations, and always seeking new possibilities to accommodate each individual client’s needs. MARGARITA BRAVO strives to stay on top of the latest trends, and stay innovative with a lot of fun ideas. MARGARITA BRAVO is a one-stop shop for all of your remodeling needs. Our goal is to put to life your dream home from concept to completion. Call Margarita today to discuss how she can turn your house into a home. Named to Mountain Living's "Top Mountain Architects and Interior Designers" 2012, 2013, 2014, 2015 and 2016; AWID is a boutique interior design firm servicing the Denver metro area creating timeless interiors with a modern touch. Her work has been featured in Colorado Homes & Lifestyles, HGTV magazine and Denver Life's home + design issue. Ashleigh’s true enthusiasm for design and stylistic overlaps are the keys to a collaboration with her clients that brings a fresh perspective to every project. She believes your home should be as functional as it is stylish and above all, distinctly you. She starts by giving her clients a questionnaire so she can learn more about them, their likes and dislikes. All the information gathered helps to create a concept and design a fresh and timeless modern space customized for her client’s individual lifestyles. AWID also specializes in e-design services and consulting for clients looking for an alternative approach. With over 18 years experience designing award winning interiors, Jennifer provides personal attention and exceptional service to ensure that the end results fit you perfectly. Contact us to help complete your next project! Enthusiasm and talent go hand in hand with Denver-based interior designer Jennifer Medoff. By infusing homes with strong architectural details and carefully curated furnishings, she has generated award-winning projects for both new construction and remodels for more than 15 years. Her aim is to surpass artistic expectations, provide outstanding service and generate interiors with a vibrant personal expression for each client. Full Service Residential Interior Design: Specialising in new build construction and large remodels. Six Walls (currently with two locations to serve you) was founded in Seattle in 2004 on the principle of approachability and hands on access to distinctive materials, showcased in a non-intimidating environment. From all sides, the Six Walls design team brings unique experience, background and perspective to your project. This well rounded group provides a very personalized approach to the client-designer relationship resulting in a truly collaborative and unique experience for every customer. Dadō is a boutique interior design firm based in Denver, CO, that specializes in creating unique, vibrant residences & functional, energetic commercial environments. About Us: Design is not a luxury, it's a necessity. There is a deep curiosity in Dadō’s approach to interior design and how it plays a part in everyday life. We listen and observe, delivering spaces that are as beautiful as they are livable. Dadō believes: Design is a tool for human comfort Design should whisper not shout Design is an invisible yet powerful presence Design calms the mind and inspires ideas Design is an investment with infinite return Our work is an alignment of purpose and people. We strive for an collaboration between aesthetic and function, creating spaces where humans feel at home. A good home design professional will hone your style down to its very essence and be able to choose a functional layout that feels natural to you. Interior design companies can be involved as much or as little as the client desires. Many clients who hire an interior decorator in Erie, CO — particularly those who are remodeling — have a good sense of how the room should look and what products they should use. Often clients will insist that interior decorators use the products already present in the house. Other times a designer will need to start from scratch — especially if this is a newly purchased or just-built home. An interior design company will need to figure out exactly what the client needs, which includes organizing rooms, picking flooring and wall colors, and finding furniture to complement it all. Sometimes that means he or she will have to recruit help from other Erie, CO home professionals to help create the perfect look for your renovation. Here are some related professionals and vendors to complement the work of interior decorators: . Do your research before meeting with an interior designer or home decorator in Erie, CO. Ask yourself what you want your space to become and what it will be used for. Figure out the extent of what you need help with, what your must-haves are and what your budget is. Interior design services can add up fast, so be up front with a potential design firm or individual from the beginning. Also, pick an interior decorator that fits your style. Browse through the portfolios of different Erie interior design firms and decide if you would live in those houses. Just because you like something doesn’t mean you could live in it. There's a big difference! Find an interior designer or home decorator in Erie, CO on Houzz. Narrow your search in the Professionals section to find Erie interior designers near you. You can also look through Erie, CO photos to find a room you like, then contact the design firm who designed it.